Now that we have our new web portal, we’re giving our email updates a facelift! MailChimp allows us to share photos and information in a more exciting format. PCEP staff member Daniel Lin just returned to Hawaiʻi from a 3-week sail on the Hōkūleʻa in New Zealand. We’re glad to have him home again! In September, Daniel sailed on the Hōkūleʻa for the Sāmoa leg of the Worldwide Voyage. 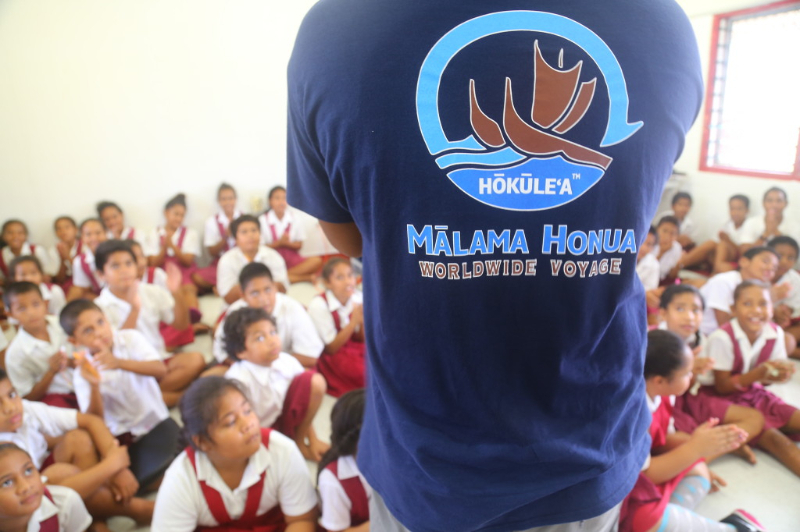 This leg culminated in American Sāmoa, where crew members hosted tours and talk story sessions to engage schools and the broader community in discussion around marine conservation issues, including the role of marine protected areas in conservation and the impacts on climate change. Daniel’s visit to American Sāmoa renewed partnership among a group of stakeholders interested in connecting climate change to lessons learned from the Worldwide Voyage. 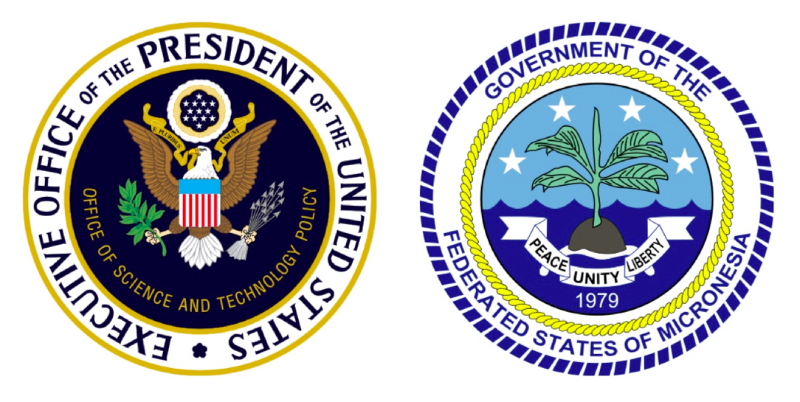 Partners include PCEP, University of Hawaiʻi College of Education, Hawaiʻi Department of Education, American Sāmoa Department of Education, NOAA National Marine Sanctuary, NOAA Fisheries in American Sāmoa, American Sāmoa National Parks, and the Polynesian Voyaging Society. 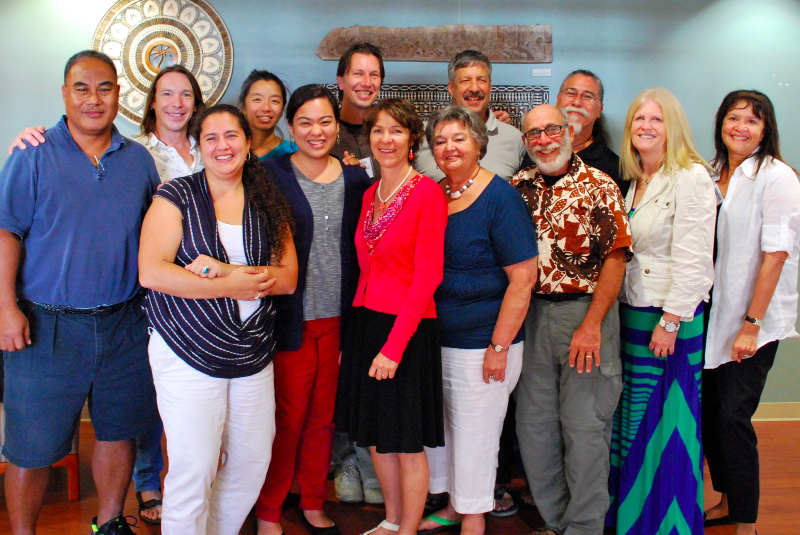 PCEP held its regular External Advisory Committee (EAC) meeting on November 12-14 in Honolulu. The meeting opened with the recognition of the climatic and geologic challenges of the Pacific Region, followed by Dr. Chip Fletcher sharing about the indicators and impacts of climate change in the Pacific Region. Over two days, EAC members and PCEP staff reviewed the past 2 years, discussed emerging ideas and practices, and identified ways to approach Years 3-5 to ensure sustainability beyond PCEP’s funding from the National Science Foundation. Among the topics to be acted upon was the role of place in PCEP, including how we rely on local environments and perspectives in the development and implementation of our resources and initiatives. PCEP was honored to receive recognition from two national agencies in November. 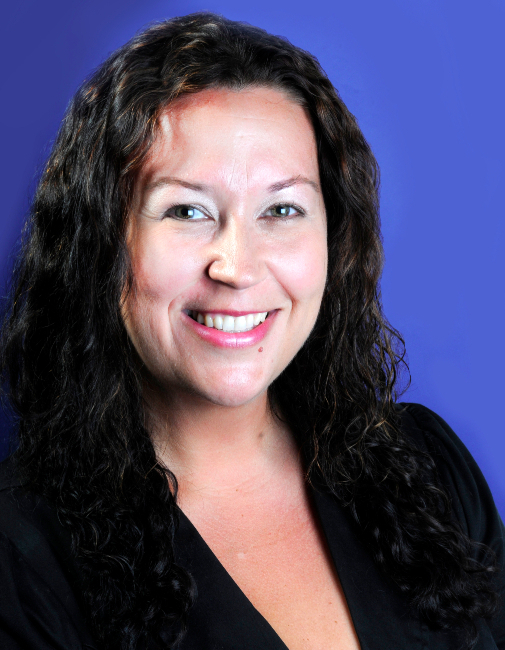 Our response to the White House Call to Action to Advance Climate Education and Literacy sparked interest from the Office of Science and Technology Policy (OSTP), especially around our work with Hawaiʻi and CNMI on NGSS and in our new book, Mangroves: Adapting to a Changing Environment, expected in 2015. Additionally, the Federated States of Micronesia (FSM) Office of the Environment and Emergency included PCEP’s work in its country report to the United Nations. FSM specifically recognized PCEP’s role in the adoption of new climate science standards by the FSM National and State Departments of Education, as well as our place-based curriculum materials and the project-based and service learning activities emerging from our local professional learning communities (LPLCs). Congratulations iREi! We’re proud to be partnering with such a great organization. We are always adding to the PCEP web portal @ http://pcep.prel.org. Go check out the new resource we added this month! And like us on Facebook for photos, articles, and announcements on climate in the Pacific region.